32, unemployed, aspie. has been kicked out of gradschool. twice. lives off pensioner mother. sits around all day refusing to help her with anything. refuses to learn to drive and makes her chauffeur him around. 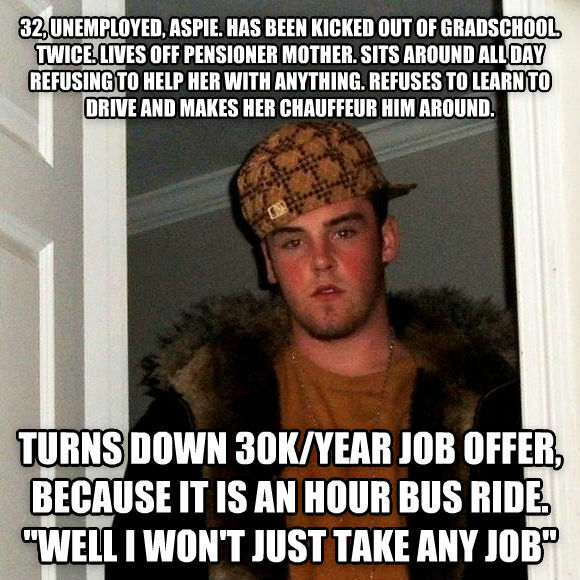 turns down 30k/year job offer, because it is an hour bus ride. "well i won't just take any job"